I suggest that you spend several years of your life saving money by singing in dive bars, giving beginner lessons, leading trail rides (don't forget to get bucked off onto the hood of a yellow cab while crossing Central Park West. That is an experience not to be missed! ), waiting tables, and eating SpaghettiOs out of the can to buy a fleet of horses to begin a program with. Over the following twelve years, you should spend several hundred thousand more dollars adding to that fleet--choosing each creature with as much care as you would choose a pony for your own daughter. You will spend those years patiently schooling them to do the work with a minimum of fuss and a maximum of happy kids. You will worry over them when they are sick and sleep in the barn to watch the IV drip. You will cry over them when they pass away. You will spend money on them that you could have used to send your kids to private school, or to buy a bigger house so that your girls don't have to share a room and we don't all queue up for the bathroom in the morning like a third-rate boarding house but you know that these horses are in your care and deserve the best that you can give them. You will ignore the pain in your own mouth and chug an Advil because you can't afford a dentist for yourself (and you would never have the time to go, anyway) but you will find the best equine dentist out there (because he is well worth it) and make sure that every last one of the school horses (even the oldest school pony... especially the oldest school pony) see him twice a year. 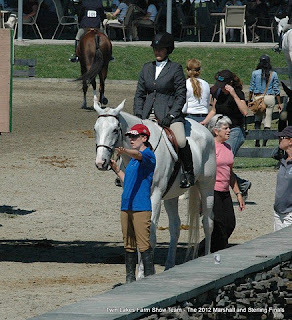 You will watch them with pride when they patiently tip an unbalanced rider back into the tack and you will get after them when they lose that patience and misbehave (even though you secretly don't blame them one bit). You will watch them endure poor riding and getting whacked in the teeth over and over again, and you will have to remind yourself for the billionth time that this is their job and the reason why you work so hard to care for them. You will stand in rainy in-gates next to them, with water dripping down your pants, and ask them to please, bring the kid back to the gate safely at the end of the eight jumps, no matter how she leans or gives conflicting aids. 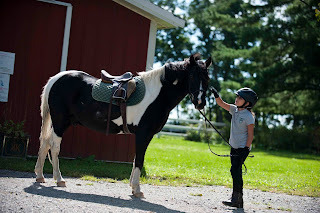 You will drive them all over creation to birthday parties, horse shows, bat mitzvahs, clinics, and beyond and you will constantly marvel at how they trustingly follow you and know that you will bring them home safely. 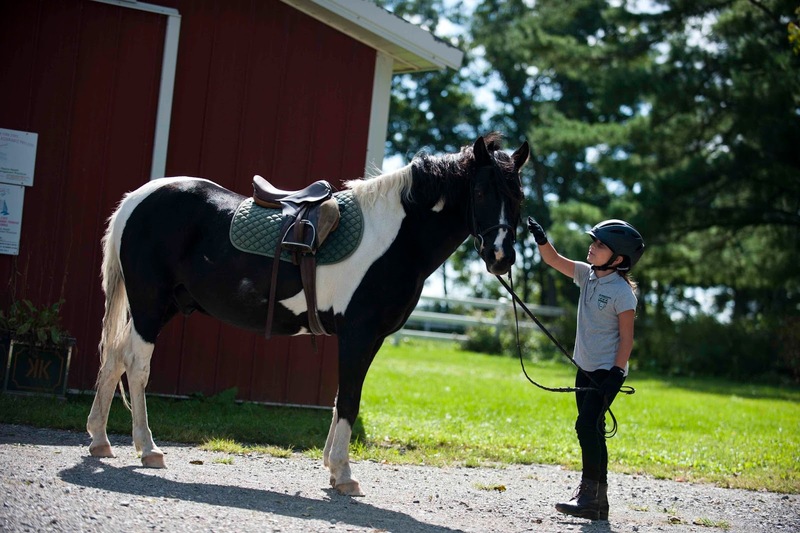 You will comfort your daughter while you hold her favorite pony for the vet to euthanize for the infirmities of old age and explain to her that you can't turn back the clock and that this is the way of things--while you wish to God that someone would comfort and explain it to you. You will listen to careless and bone-headed comments from morons like yourself, and you will try your best to let it roll off because you know your school horses are saints. Elizabeth Tarter runs Twin Lakes Farm in Bronxville, NY and Riverdale Stables in the Bronx with her husband, Scott.